You can easily carry this around your neck in the injection-molded neck sheath with breakaway chain. The blade uses H1 steel, a rust-free alloy seen in the Salt series from Spyderco. The handle is bidirectional FRN that provides a secure grip. As far as I’m aware, this is the lightest Spyderco fixed blade available. 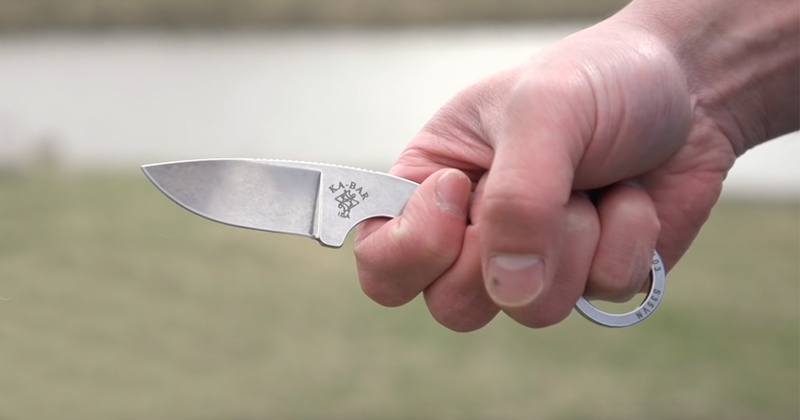 The Mini Slik is a small little fixed blade designed by Rob Amsler. Its blade is 2.1 inches of 440C, and the handle is titanium. The whole thing has a cohesive stonewashed finish and fits into a Kydex sheath. You won’t feel the weight of this knife, but you can easily pull it out if you need to open some letters or packaging. I had the Becker Necker on the best EDC fixed blade list, but that one is a bit heavy at 3.2 ounces (still pretty light). That’s where the Becker Remora comes into the picture. Although an inch shorter than the Becker Necker, the Becker Remora features a similar skeletonized design without feeling too cramped when gripping. 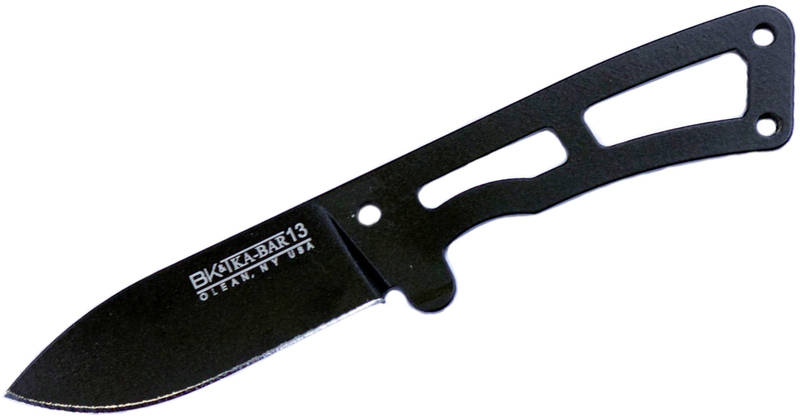 The knife features much of the same dependability and functionality of a Becker knife but in a smaller package. I was tempted to put the larger Urban Edge on here instead, but it weighs 1.9 ounces whereas the Urban Pal weighs a mere 0.7 ounces. Despite being a little bigger, I could not justify the weight increase. You wouldn’t think a push dagger would make a good EDC because of its roots in self-defense, but Cold Steel does well by making one edge plain and the other serrated. You can use one side to cut open boxes and the other to cut some rope. This thing is so small you can carry it around the neck or even in the pocket. The Kershaw Dune is the heaviest of the fixed blades on this list. By itself, the knife is 2.2 ounces, but with a sheath, it’s 2.7 ounces. That’s not a lot considering the blade is 3.8 inches and the overall length is 7.7 inches. The length per weight ratio is quite well, thanks to the slim profile. 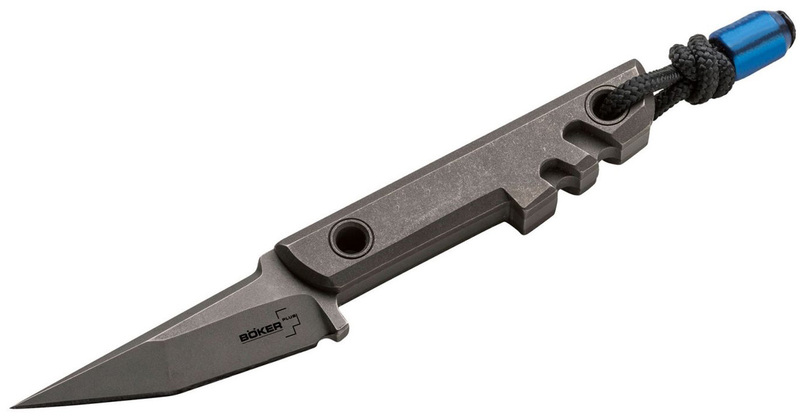 Kershaw calls this a neck sword and says it’s great for EDC and we don’t disagree. 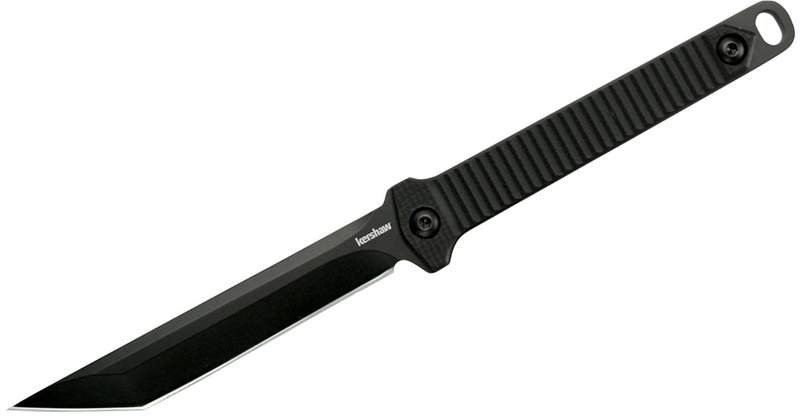 It is unobtrusive, and the tanto blade is surprisingly versatile. 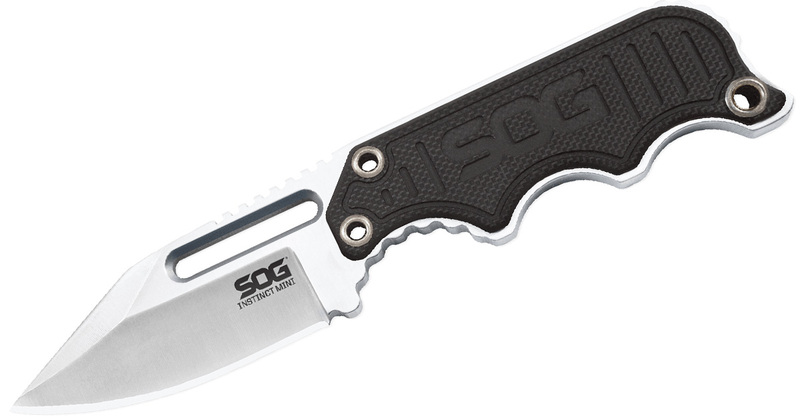 The SOG Instinct is a minimalist fixed blade designed to be compact and readily available. It comes in several varieties include a mini and full-sized version and a skeletonized and G-10 version. Because most of the knives on this list are skeletonized, I figured the Mini G10 Instinct made the most sense. The blade is 1.9 inches and the handle scales are G-10. It includes a belt clip hard-molded nylon sheath. KA-BAR is known for its collaborations with different makers, such as Ethan Becker and Jesse Jarosz. But one of the brand’s most underrated offerings comes from the great Mike Snody. What separates this knife from the others on this list is the use of premium materials and a vision closer to a custom design. The whole knife is made of S35VN steel — the best on this list — and features a simple design that harkens back to the bird and trout knives of old. 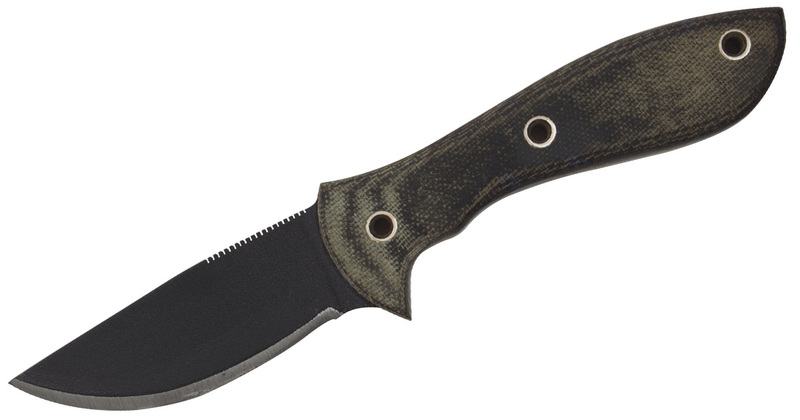 This made-in-the-USA knife comes with a well-designed green sheath and a custom-made bead. People have complemented the overall usefulness of the knife. Joe Flowers is responsible for designing most of the knives out of Condor TK. A few years back, he designed the larger 5.5-inch bladed Crotalus. It was well-received, but flowers wanted to make a mini version of the knife that could still perform well. So he came up with the Pygmy. 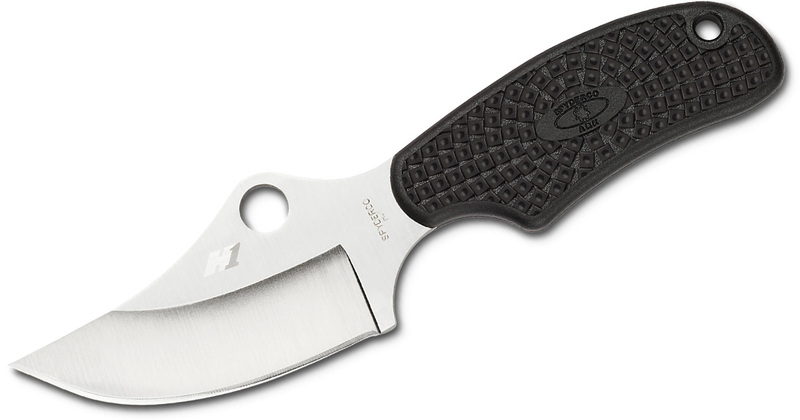 Featuring a 2.5-inch carbon steel blade and Micarta handles, the Pygmy is a smaller version of the Crotalus. This is an EDC knife you can carry around the campsite. 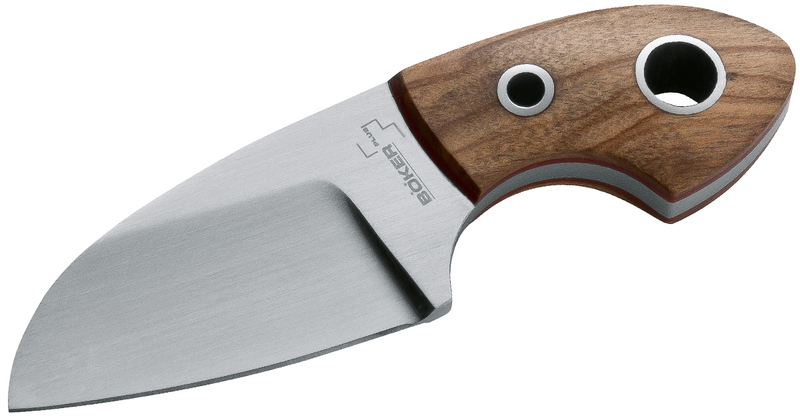 Another Boker Plus knife designed by Jesper Voxnaes made the best EDC fixed blades list, but this one slices down on the weight even more. The Gnome comes in at under 2 inches and comes in different versions. The version with olive wood handle scales comes in at the lightest at 1.6 ounces, but the Micarta version is only an ounce more. 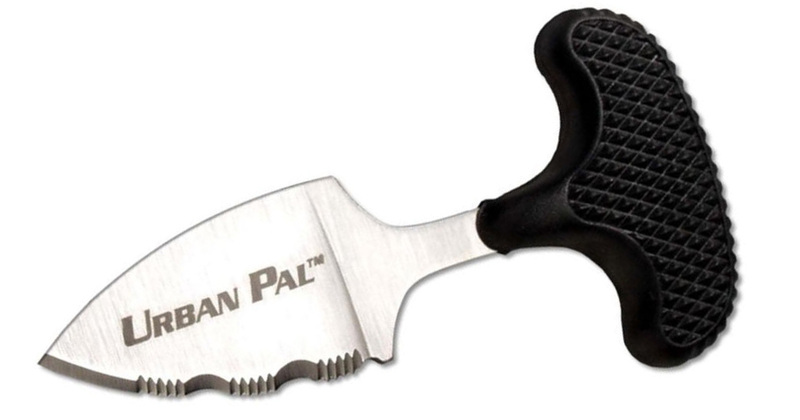 The blade is 2.2 inches, but the handle is cut off in the middle, making the use of a lanyard vital for a better grip. The DPx Gear HEAT Hiker is a scaleless version of the regular HEAT. This knife has the benefit of S30V steel, a skeletonized construction, and a built-in carabiner for easy attaching to your pack. 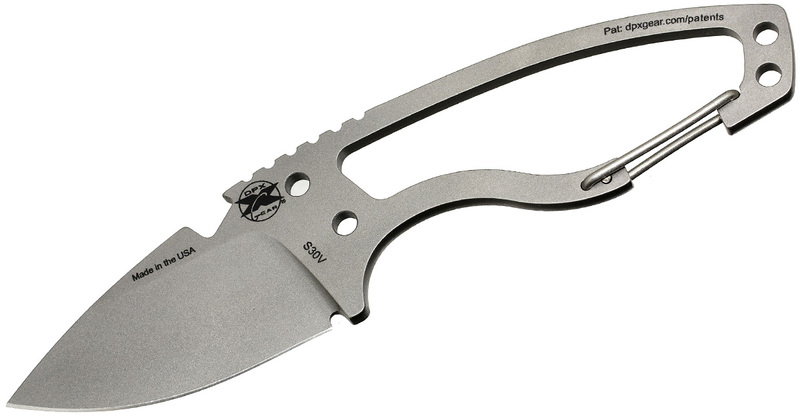 This carries the same rugged durability and multifunctionality of all DPx Gear knives. Oh, and it’s made in the United States. 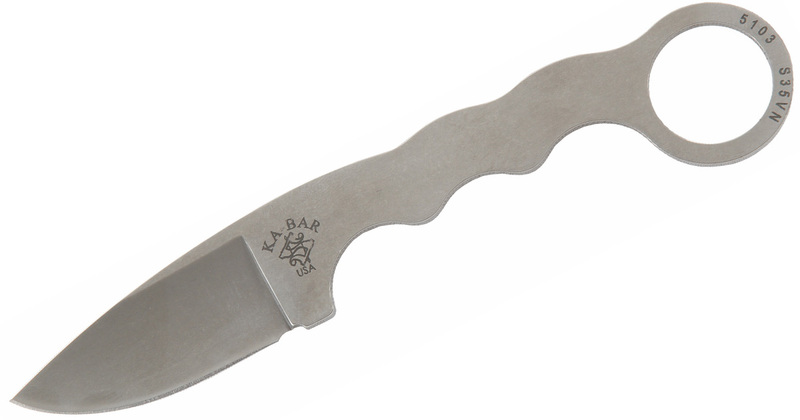 The Obake is a great fixed blade from the mind of Lucas Burnley. For those who wanted something a little more compact and discreet, there’s the Obake Skoshi. It has the same etched blade that’s a great slicer and paracord-wrapped handle as its larger inspiration. When you hold this or carry it in the included nylon sheath, you hardly feel the weight. And thanks to its unique and functional design, this makes a great EDC fixed blade. 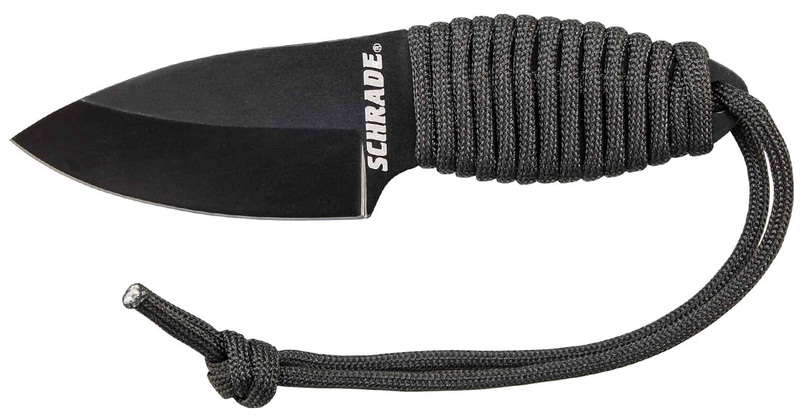 Schrade has a lot of knives, many that have been discontinued over the years. But every now and again they hit on a solid design that’s paired with a reasonable price tag. 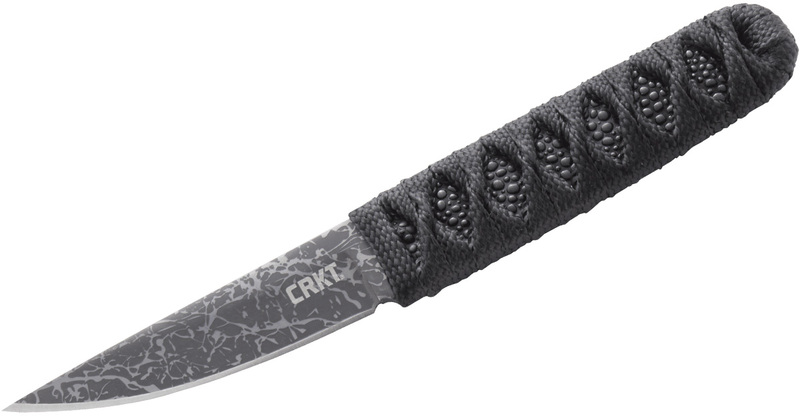 This simple fixed blade has a 2.31-inch black-coated blade and a paracord-wrapped handle. It won’t blow you away in quality or design acumen, but for a lightweight EDC beater fixed blade, it’s more than capable. Since the Izula was already on the best EDC fixed blade post, I figured we could cut the weight down by going with the ESEE Candiru. 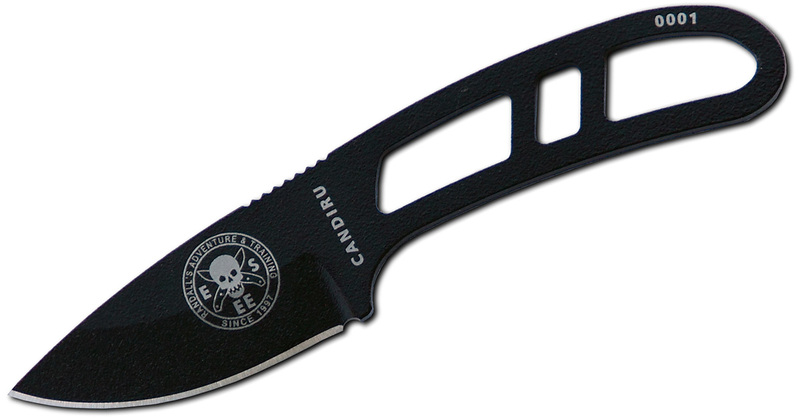 The Candiru is similar to the Izula but more compact. The blade is about 2 inches, and the overall length is 5.13 inches of 1095 carbon steel. The design is pretty similar to the HEAT Hiker but even more stripped down to the basics and a little smaller. 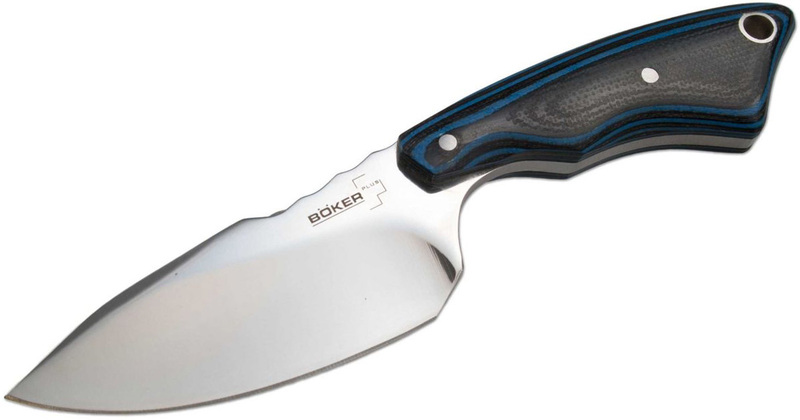 And finally there’s yet another Boker Plus knife that’s worthy of inclusion. This is another underrated option that’s almost like a mini everyday carryable chef’s knife. The 2.7-inch 440C blade is complemented by a more minimalist blue-and-black G-10 handle that allows the user to do some great slicing. If you’re preparing food on a cutting board, you’ll be able to use the full blade without interference from your hand. I’m not sure how much longer this Raimund Lhotak-designed knife will stick around because it doesn’t get much attention, but you should get it while you can. 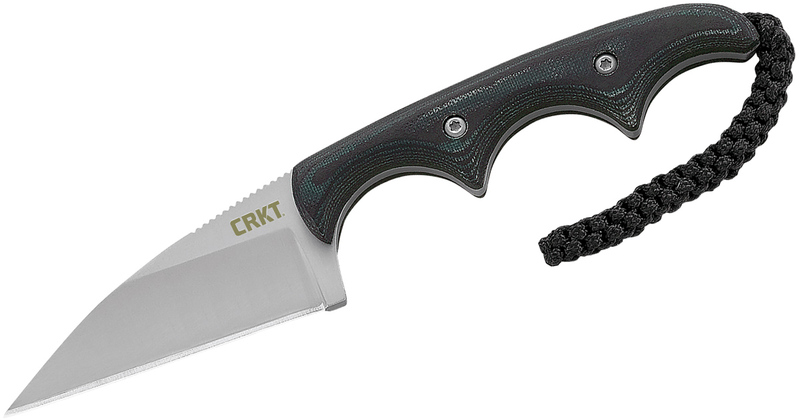 I own a CRKT Minimalist and while I like it, the handle is too short for my hand. I actually have gripped the little lanyard or tab and it works, but I am more comfortable with a longer handle which would lead me towards a knife like the Obake or the Dune. I actually like most of the knives shown, but due to ergonomics (Short length and finger grooves) they don’t allow me to get a good, full grip. With something really tiny, it feels like holding and using a razor blade to make a light cut, but doesn’t allow a good enough grip to carve or to apply much strength to a cut. I can’t see using it like most knives for the usual tasks as I am not able to apply the proper hand hold. I think that a push dagger such as the little Cold Steel Pal might work better for me. Oddly enough I also have a Kershaw Shuffle (Yes it’s a folder) which fits my hand perfectly, so there is a reason for so many knives…. to allow us users to find what works and feels best to us. All great points, Frank — especially the last one. Diversity in knife designs is awesome, even if it means there are plenty that just don’t work for you.